FB2 stands for FictionBook 2.0 File. It is an eBook format developed in Russia that uses XML to describe each element of the book. This format is specially designed for fictional literature. You can easily open and view .FB2 files using different ebook and file viewer software tools. 1. Cool Viewer – It is a free ebook viewer program for Windows that can read number of text document formats. It supports fully customizable palette, text reformatting with any font size, font anti-aliasing, extra smooth scrolling and a lot of other features that turn reading into a pleasure. It can open books from .txt, .doc, .html, .fb2 or .rtf formats with automatic codepage. 2. STDU Viewer – It is a free viewer that support multiple file formats. 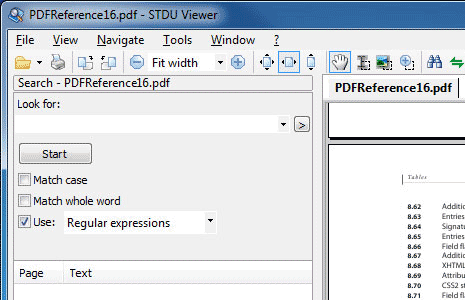 STDU Viewer supports TIFF, PDF, DjVu, XPS, JBIG2 document formats. It also supports FB2, TXT, Comic Book Archive (CBR or CBZ), TCR, DCX and image (BMP, PCX, JPEG, GIF, PNG, WMF, EMF, PSD) files. Viewer program has tabbed interface with thumbnails view, rotate page, search by text layer features. You can also use STDU Viewer as converter from DjVu and PDF files to the set of image files (BMP, GIF, PNG etc) which represent pages of source document.